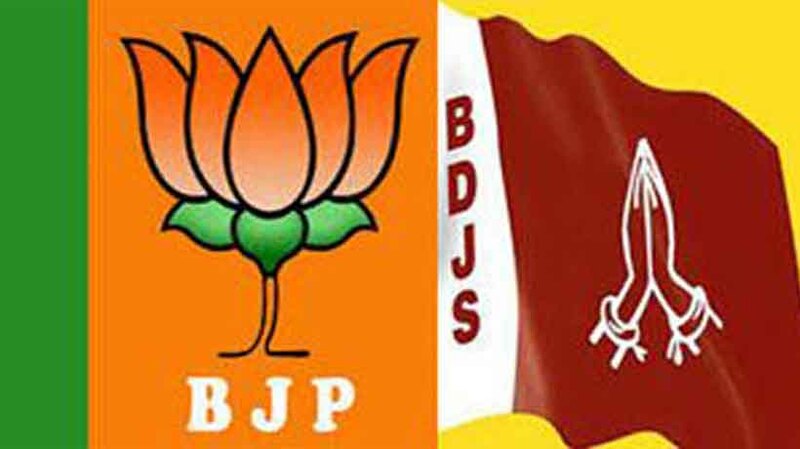 Kochi: After helping BJP open its account in Kerala Assembly, BDJS has refused to back the saffron party in the Chengannur Assembly byelection. Some leaders in the BJP had talked against him and his party with regard to allocation of the Rajya Sabha seat, BDJS chief Tushar Vellappally told reporters at Alappuzha. Action would be sought against them, he said, adding that neither he nor his party had demanded Rajya Sabha seat. He said doors are open for his party in the LDF which was anxiously waiting a nod from him. LDF which had associations with terror accused Abdul Nasser Madhani’s PDP would ‘happily accept’ Bharat Dharma Jana Sena (BDJS), a political wing of SNDP yogam representing the Ezhava community which forms the backbone of Communist movement in the State. The BDJS was formed a couple of years back to set up a third front as an alternative to the LDF and the UDF.